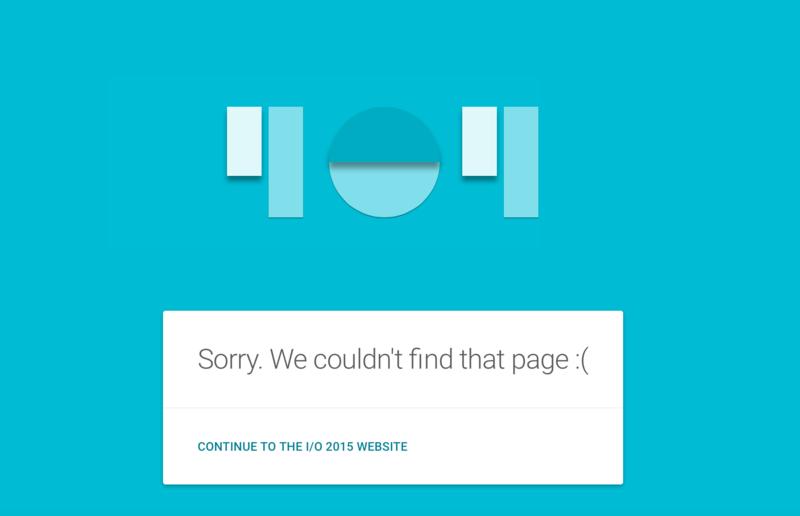 Google I/O 2015 has finally went cool and hip with their custom 404 page. Developers of Google’s I/O 2015 website, appears to be flirting with a new 404 page nowadays, featuring Material Design numbers. The 404 page, which you can find here (https://events.google.com/io2015/blah), includes Material Design 404 bold numbers and a short message “Sorry. We couldn’t find that page :(”.